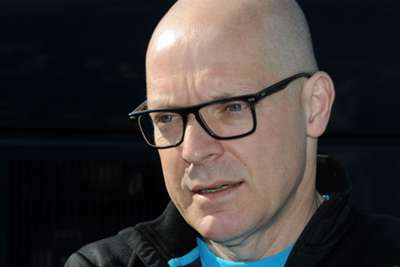 Dave Brailsford is optimistic Team Sky can continue to prosper under new ownership after he received a flurry of phone calls from potential investors on Wednesday. The future of a team that has been so dominant in recent years was plunged into doubt when it was announced that Sky was pulling out of the sport at the end of next year. Team principal Brailsford offered a positive outlook for the future despite such uncertainty, revealing that he has already had conversations with interested parties. "Obviously we will look at new opportunities," he said. "The group collectively will come together and we'll try and find a future. If we can find the right partner, then that will be fantastic and if not, we'll move on. "When these situations happen people say 'your phone will start ringing' and you think maybe, maybe. "But it has, I've had quite a lot of calls from people who are expressing interest and want to talk, so if that's anything to go by I think the opportunity for the future looks very, very good." Brailsford insisted he has no concerns over the prospect that he might have to operate with a smaller budget. He added: "I like to build things, I'm an optimist. In life in general I don't think you cut back to the smallest you can do something, I think you grow to the biggest you can be and you be optimistic. "In a sport like ours it's not a question of cost, it's a question of value. If the money you put in creates good value then the equations works, from my point of view that is not a concern."